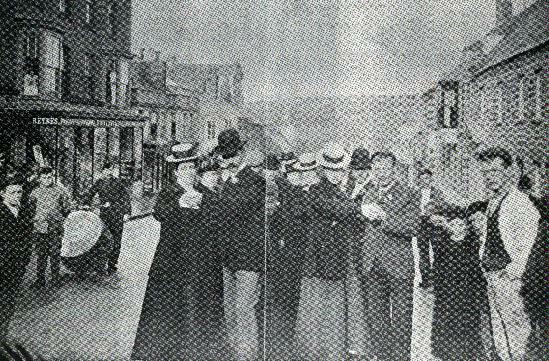 The early morning FURRY DANCE on 8th May 1901 in Coinagehall Street. Always a popular event which induced `Helstonians` to temporarily suspend their daily occupations. This was referred to as “The Servants` Dance”.